Facebook / Lucy Kells, Vale Wildlife RescueThat is one colourful seagull. Sometimes you go a little too far for a snack. 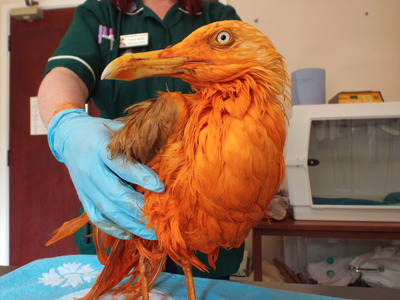 That’s what happened to a seagull that was scavenging in the garbage cans of a food factory in Wales. The unsuspecting bird fell into a thrown-away vat of chicken tikka masala, which dyed it completely orange. The pungent seagull was taken to Vale Animal Hospital in nearby Gloucestershire, where he was cleaned up and fed, according to the Guardian. The bird was uninjured. According to veterinary nurse Lucy Kells, he smelled so good he made the staff hungry. 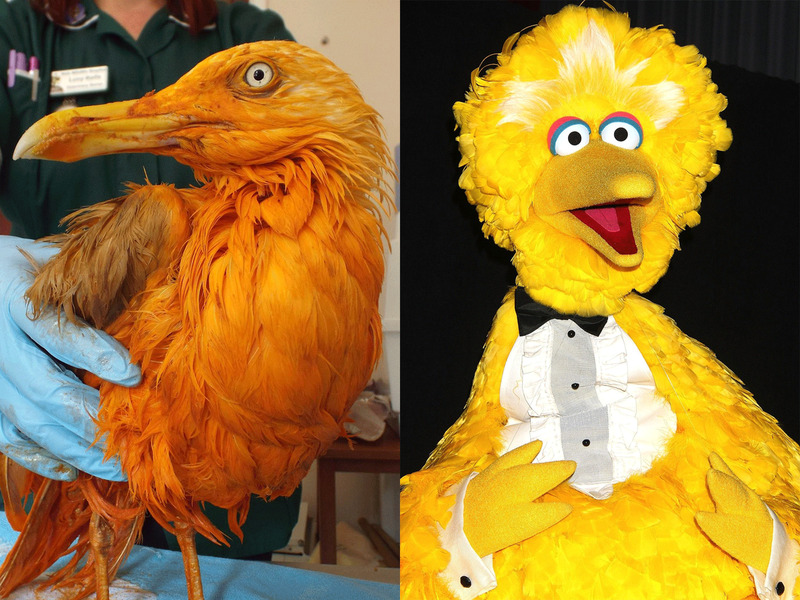 Commenters on Facebook were quick to make a comparison to another big, colourful bird: Big Bird.